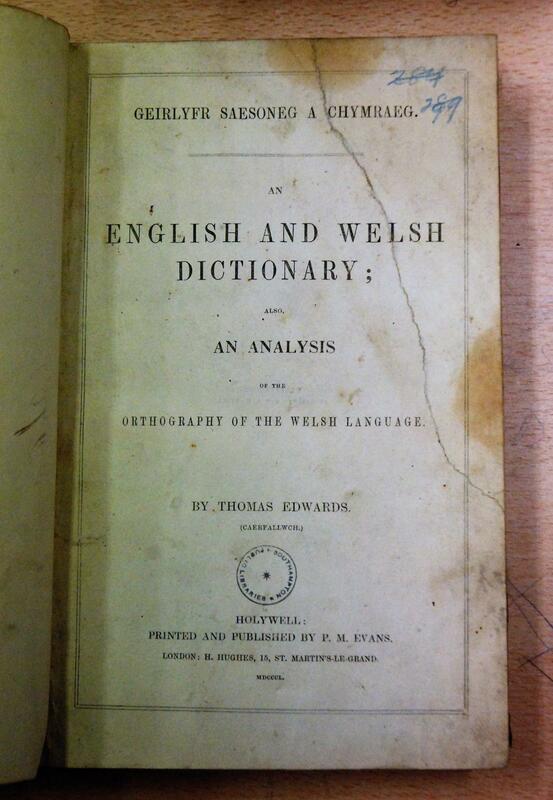 Notes: Geirlyfr Saesoneg a Chymraeg. 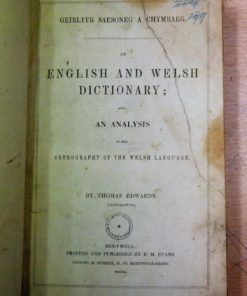 An English and Welsh Dictionary; Also, An Analysis of the Orthography of the Welsh Language, by Thomas Edwards, called Caerfallwch, (Holywell and London: P. M. Evans, 1850), pp. 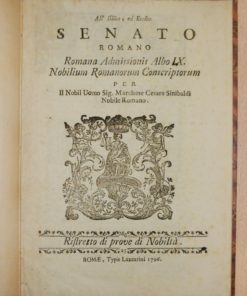 xlvi, 543. 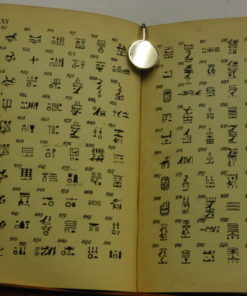 Ex library with usual markings (inc. shelfmark on heel in white pen). 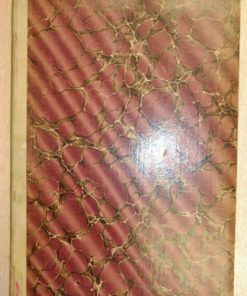 Publisher’s quarter black leather binding with gilt tooling and titling to spine, marbled endpapers and pastedown. 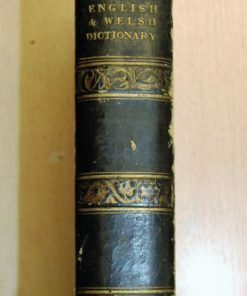 Binding bumped and rubbed, closed tears to title and dedication pages, with the tear on the title page repaired, no loss of material, slight foxing and browning throughout, though the pages are still tight and relatively clean. 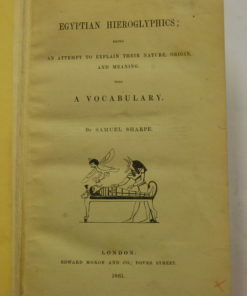 A very rare example of the first edition of this book.